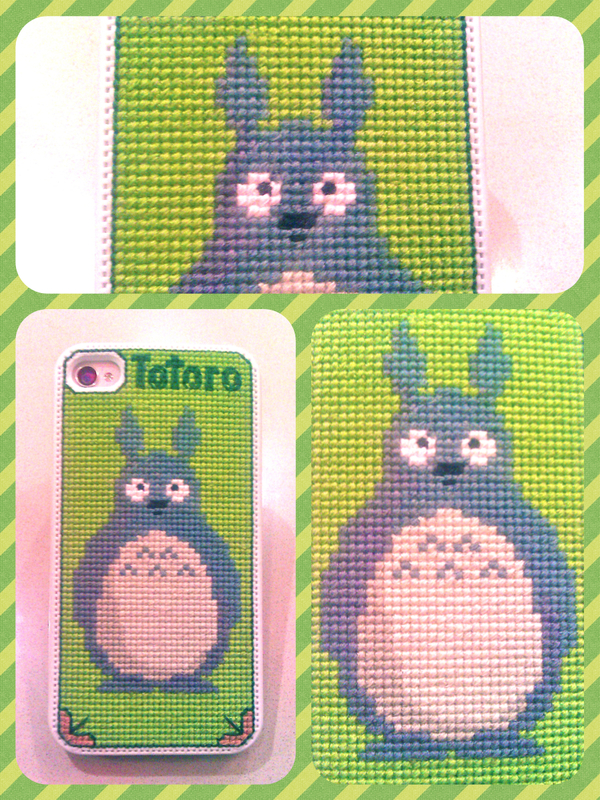 You peeps and my pals on FB seem to have gone properly mental over my Totoro cross-stitch phone case! Y’all are crazy! And completely sweet, and I heart you all. So, not to disappoint, I’ve worked as fast as I can, and, now, I present to you my Toto-phone! Mmm, shall I do a Cat-Bus one next? To recap, if you want to do your own cross-stich iPhone case, you can get yours online here or here, or you can buy them in store at Morris & Sons (Sydney and Melbourne). If you could do one, what design would you go for? And if you actually do do one, you MUST share it with me! I’ll pretty much love you forever! AGGGG! Its so amazing!!!!! I want one!!!!! Psst… you can get the cases on ebay for $7.95. I love that green too! I got that floss from a Japanese dollar store in the city. Yup! It is confirmed. You are magic! Love the Totoro phone case. I would love to be with you on a bus when you pull it out and see faces of bus riders light up at the sight of it. I wonder if people will notice? That’d be a bit of a buzz! Oh my God Rainy that is the most amazing thing I have ever seen in my whole entire life!!! I VOTE Cat bus all the way!!! Haha, you should totes do one, Tany! I wouldn’t be surprised if they did. Maybe a bit of Googling or eBaying? EEEEEEEEEEK !!!!! I now want an iphone just so i can do this !!!!!!!! LOVE IT LOVE IT LOVE IT !!!!!!! !